This is the perfect project to use those leftover 2 1/2" strips. 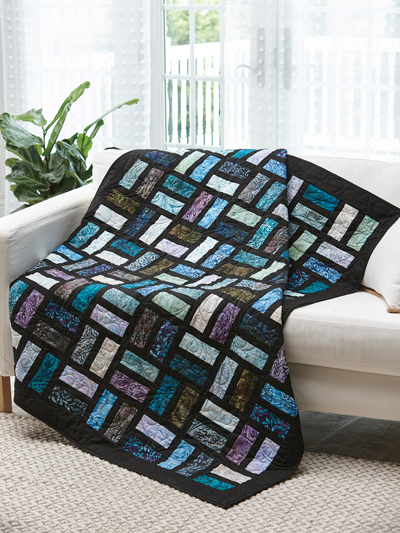 Coordinate the colors to make one for every season! Finished size is 53" x 65". 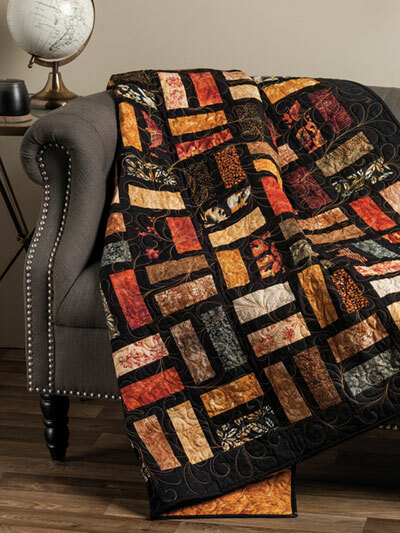 Great quilt design with many different variations to achieve, working on 4th, love this one! Just received this pattern, can't wait to start. Seems pretty easy to follow. I made this for my son's birthday. I also used a jelly roll with Amish black sashing and borders. The pattern was easy to follow and made up quickly. I will definitely make another. 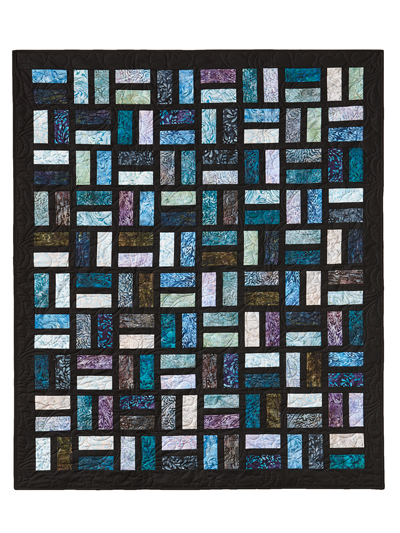 Made this quilt using a jelly roll (splash design) and Amish black fabric. Was quick and easy. Turned out beautiful. Will definitely make another one. Just pick out your favorite jelly roll and go for it.